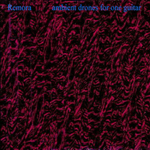 Remora began in 1996 with a web of cassette releases (Anaaron, Acroyer, Amerse, Eneded, Cemented in Stone, Anadia, Ambient Drones for One Guitar) that utilized the guitar to create ambient walls of sound, rather than melodic passages. These releases were recorded at home during time off from work & other responsibilities. 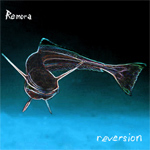 In recent years, Remora has shifted from pure guitar noise into songs incorporating the sounds discovered over the time spent exploiting the use of effects. 2000 marked Remora's first works done in standard recording sessions resulting in the more cohesive releases of the album Some Past's Future & the EP Some Future's Past recorded in bed room studios in New Jersey & Minneapolis as well as Raleigh, NC. 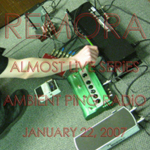 2002 was the year Remora took an excursion from effect pedals for a twelve-string acoustic guitar to record The Alcohol EPs. 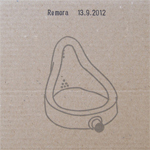 In 2003 Remora toured northern Europe with Kobi & a recording of a live show in Oslo was eventually released by Morc. 2005 marked the release of Enamored, Remora's first full length in four years. It’s post-apocalyptic pop music. Love songs from a revolutionary ready to abandon his war grasping for hope. Lyrically inspired by pulp sci-fi from the 1970’s, songs like “Volcana,” “Champion,” “Kill My Way Out of Here,” & “Out of Air” paint portraits of love being the same after the crash of society while struggling to stay alive as it is now & as it was 3,000 years ago. 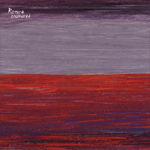 Also in 2005 Remora recorded Reversion, an EP reflecting back to the earlier guitar experiments in support of a Pacific Northwest tour with Rollerball & Six Foot Sloth. 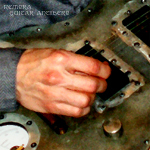 In 2008 Remora recorded the collaborative album Clear Field with northern valentine & slicnaton & returned to the pure drone roots with Ensoulment a 70 minute long solo guitar piece. 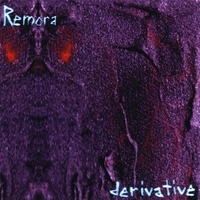 In 2009 Remora released the album Derivative that collects songs based on hit songs by Hefner, Warrior Soul, Journey, Pere Ubu, Bob Dylan, Joe Jackson, Blue Oyster Cult, & Joy Division. Also released was the live recording Guitar Antihero. 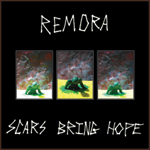 In 2011 Remora released Scars Bring Hope which went back to the proto-punk & apocalyptic pop sounds of Some Past's Future & Enamored while putting the music in a much more commercial environment with Brian Lea McKenzie of Electric Bird Noise acting as engineer & co-producer. 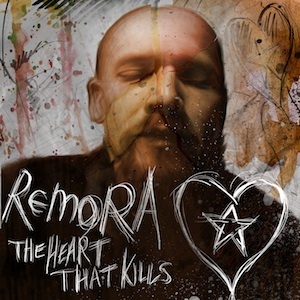 In late 2011 Remora recorded The Heart That Kills as a responsorial piece to the death of Mitchell's grandmother released in 2012 by Fluttery Records. 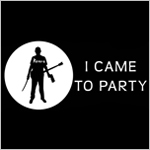 In 2012 Remora recorded 13.9.2012 for Somehow Ecstatic's 24 hour album series & returned to some of the fun musical elements of the early 2000s live show on the five minute EP I Came To Party. 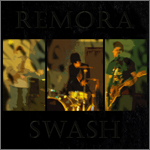 Remora in 2014 focused on live shows resulting in 2014's Christmas collection A Burning Lump of Coal EP & 2015's live band EP Swash. 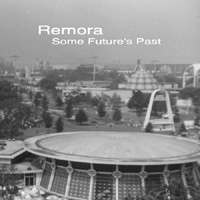 Remora is currently working on two top secret themed EPs as well as another full length album. 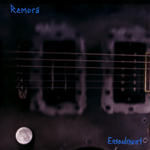 Since 1996 Remora’s been exploring the guitar as a source for aggressive ambient soundscapes. 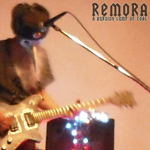 "Warm Bodies" is Remora’s latest & most ambitious exploration of guitar feedback. Remora leader Brian John Mitchell controlls the feedback on three guitars while five other guitars & a bass are controlled by Nicholas Slaton (slicnaton), Martin Newman (Goddakk, DRLNG), Michael Wood (M is We), Micheal Madden (M is We), & Rowland Yeargan (Sportsmanship). What you get is some of the finest ambient, drone and melodic pieces that one could ask for. An absolutely majestic, must have album. 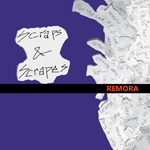 Scraps & Scrapes collects compilation appearances, alternate mixes, & demos from Remora's first twenty years. 98 tracks & 6.5 hours that haven't appeared on Remora's twelve albums & thirteen EPs, but document the progression & consistency of Remora's sound over two decades with new equipment & age only mildly impacting the weird post-apocalyptic musical vision - mixing up ambient drone, post punk, & americana into whatever hybrid you want to call it. Remora captured as a live band featuring Brian Lea McKenzie of Electric Bird Noise on drums & Peter Aldrich on bass. If Remora’s goal on this EP was to make slightly deranged music that somehow still retained some semblance of holiday mood, they succeeded with flying colors. After the drone dirges & post-apocalyptic pop of recent releases, Remora returns to the fun bits that made the project known as the south's premier post rock party band. Fun & whimsy after the destruction of a planet. Part of Somehow Ecstatic's 24 hour album series written & recorded in its entirety on September 13, 2012. Mixed & mastered the same day as well & includes both songs & drones inspired by science fiction stories. A drone album. All but three minutes are two guitars & two bass guitars feeding back as the only sounds. At times the feedback is a somewhat passive presence & at other times it is an aggressive one, rising & falling like hope between labored breaths. Clearly this is not something meant for everyone. The remaining three minutes are split four ways between two a capella tracks, a glockenspiel track, & the only traditional song structure on the album (the half funeral dirge/half anthem “Bring You Back”). 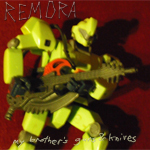 Remixes & more of Remora's "My Brother's Guns & Knives." You'd think an hour of remixes of one song would be ridiculous & impossible to sit through, but half of the remixes are really derivative works merely using the original song as source material. We hope you dig it. Remora returns with both it's special brand of post apocalyptic pop & guitar drone in a full band setting. The most commercial Remora release to date. In the vein of Some Past's Future & Enamored. From post punk to post rock & always post apocalyptic. Remora returns armed with sub-midi technology instead of a guitar. Post apocalyptic pop. Blurps & bleeps. Bridges between machine & human brains. Music for androids. Part post rock, part electro, & part folk; love songs, fight songs, & ballads; distorted future music. 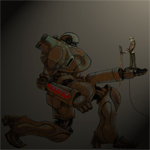 Includes a copy of the Mecha mini-comic. Limited number of physical copies in metal tins. Remora does derivative works on some personal favorites including hits by Hefner, Warrior Soul, Journey, Pere Ubu, Bob Dylan, Joe Jackson, & Joy Division. Doomy drone with pop hooks. 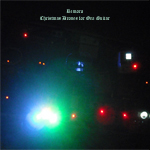 A 70 minute aggressive ambient guitar excursion from Remora. 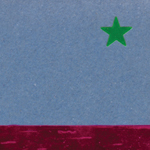 The clear field recordings are a unique combination of elements of all three projects. You hear the loops & aggression of Remora’s guitar work, Northern Valentine’s ambient shimmering glacial guitars, & slicnaton’s orchestrated glitch & deep bass tones. While hearing all three individual musicians, it still is clearly a collaboration of the three rather than one of the projects with two special guests; it is a unique sound of its own. Remora goes a cappella. Sometimes comedic, sometimes spiritual, & occasionally poignant. This was predominantly recorded by Jessica Bailiff during Remora’s 2006 spring tour & includes covers of “We Will Fall” (The Stooges), “Heartworms” (Coil), “Sores” (Rollerball), & a passage from Job. Beautiful hand letter-pressed artwork by Shane Sauers & a video for “Sores” also by Mister Sauers. Remora returns with the first full length in four years featuring post-apocalytic love songs & ambient guitar drones. 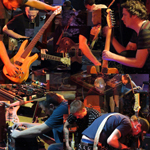 A capturing of Remora live from spring of 2003 at the Mir in Oslo. Includes otherwise unreleased songs "New Loop," "Syd Song," & "Static is Motion." 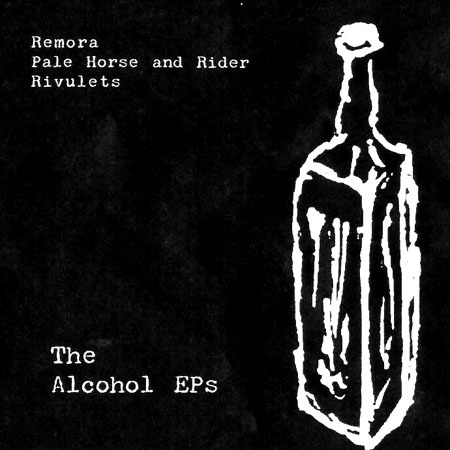 A triple split EP from Remora, Pale Horse and Rider, and Rivulets of songs about or inspired by alcohol. A collection of acoustic guitar songs in the vein of Bruce Springsteen's Nebraska. 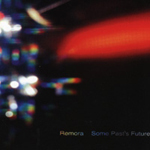 Some Past's Future combines all the elements of Remora from apocalyptic post-punk to beautiful noise to minimalist atmospheric. Songs about the future, the past, love, and working class dreams. Aggression tempered with guilt. The tonal chaos within each piece is hopeful and revealing. This is the soundtrack for apocryphal dreams & late night car rides. Remora blazes away to the "beat" of the loops, guitar wandering & exploring the corridors of the universe & the possibilities of pure sound. In fact, it's the choice & use of sound rather than any sense of musical development that makes this an enjoyable listen. Remora does a good job of keeping my attentention & even at the most ear shattering, brain piercing moments manage to retain a sense of cosmic drift. Anadia is full of powerful, edgy instrumentals and sparse, fragile ballads that hold their own with a lot of the better known space rock/experimental artists out there. Soft-noise drones mingled with songs made of static guitar chords & vocals. I like the spirit of this discreet work, floating by just leaving the overall melancholic atmosphere. 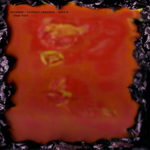 A collection of tracks recorded from 1996-1998 constituting a greatest hits of sorts. Meandering lo-tech noise-song works. Tinny guitar strumming sometimes accompanied by cutting veils of feedback shrieks and gnarling lower rumbles. Tracks: O Come, O Come, Emmanuel; What Can I Give Him?